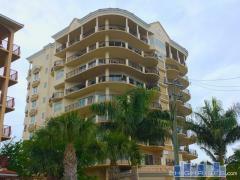 Royale Towers is an 8-story oceanfront high-rise condo building in Cocoa Beach, FL. Royale Towers provides residents with amenities such as a clubroom, tennis court, pool, spa, and exercise room. Have any comments or questions about Royale Towers? Ask your question and/or share your thoughts about this Building. Hi. I just visited a friend who has been renting at your condominium. What an amazing view of the ocean. I am wondering if anyone rents for the weekend. My husband and I are in our 50's and fell in love with the area. We live in palm beach county and just think it would be a lovely get away weekend.